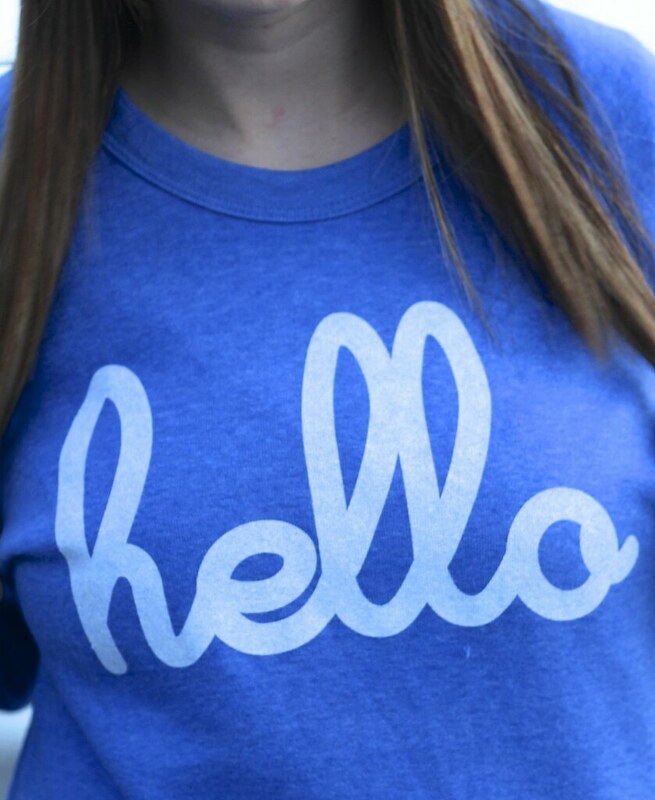 Janelle In Real Life: the friendliest sweater around. Hey friends!! Today we are headed back home from our wonderful trip to Alabama! We spent time with family and otherwise partied. 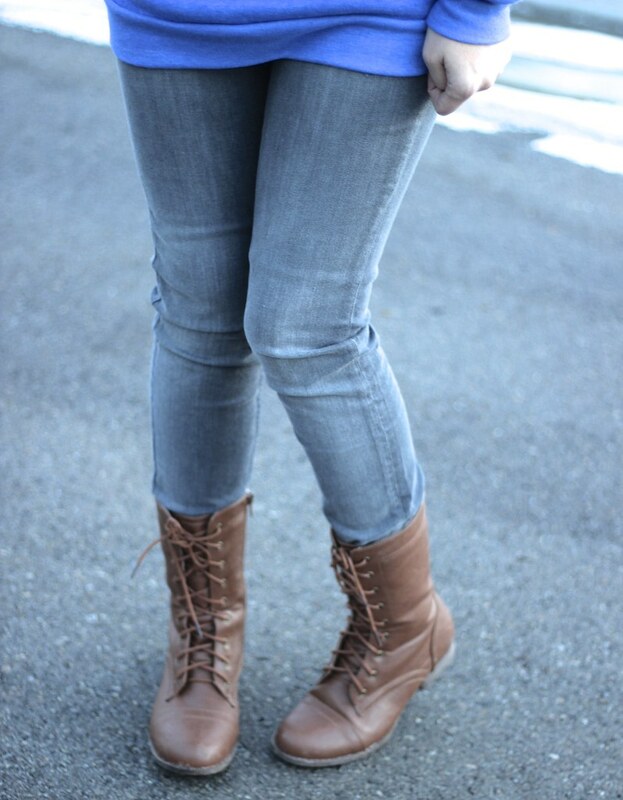 This outfit is one of my favorites... it's so easy and cute! And I literally threw on all of my comfiest stuff. I hope you're all having a lovely week so far! There are lots of fun giveaways coming up in the next couple of weeks (including the one from yesterday) so keep an eye out for those! And have an amazing new years eve! We'll be keeping it low key since most of the day will be spent traveling... hopefully we'll make it to midnight. If not, I'll just live vicariously through the rest of you all! I love "faded" sweatshirts and that one looks so cozy. Happy New Year! The perfect casual look! Love the sweater!! I love your boots and beanie! 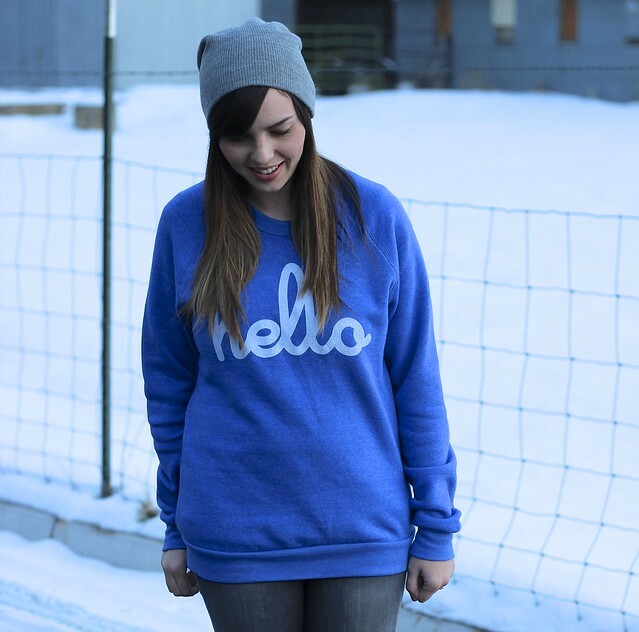 That sweatshirt is pretty cute too:) I just started me blog and would absolutely love if you would follow me back!